Everyone, I need your help with this! It’s time to spread awareness of the four warning signs that could mean that a person has diabetes. While both Type 1 and Type 2 diabetics may show the above four symptoms, people with Type 2 diabetes could also experience blurred vision, dry skin, slow healing of cuts and sores, and numbness of the feet. 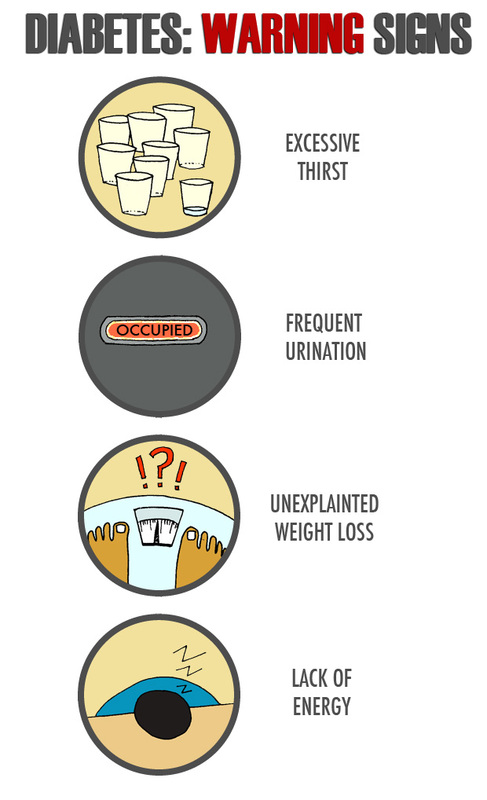 If you know someone experiencing these symptoms, do encourage them to get checked for diabetes. The earlier a person is diagnosed the better, since most of the complications associated with diabetes arise from having high levels of blood sugar over prolonged periods of time. Currently, 1 in 2 people who have diabetes do not know that they have it! So please, share this information with as many friends, family, and co-workers as possible! In the day filled with sweets and more sweets.. Need to send an alert also through priya’s article. Hi Priya, Reposting your articles on my FB page.